Although a double edged razor of the type sold for shaving is best for free-hand sectioning, owing to its more stringent manufacturing controls and increased thinness, for initial attempts a single edge utility razor blade is recommended. The thicker blade and single edge contribute to a sense of safety on the part of the nervous practitioner. In either case, the process is the same. One should first toss out any thought of force or slow pace. For this example a pine needle is firmly pressed against a glass slip with the nearly vertical thumb of one hand. The glass slip is oriented on a slight angle, such that it is in line with the arm which is owner of thumb holding the pine needle against the slide. The reason for this orientation is that it permits the other arm, and the hand which will be holding the razor is easily brought at a right angle to the other. The position of the arms being important as it is the shoulder and elbow of the blade holding arm that will be moved to make the cut. Using the long bones of the arm as something of a pendulum contributes to the smoothness of a cut section and uniformity of thickness. A chopping cut, or wrist controlled section is sure to be too thick, or horribly distorted. With a drop of water or two introduced to the slip the needle is first trimmed to expose a cut surface. The blade is then placed so that its flat surface is against the thumbnail of the opposite hand. As the arm holding the blade is drawn backwards the blade is allowed to cut a section. Although the blade should be held firmly force should not be applied to make the cut, allow the shard edge to do the work. Any likely sections may be left of the slip or transferred to a second slip for inspection on the microscope. In either case one should not allow the sections to dry out. I have never acquired the skill for making a good free hand section, but have managed workable results when making cursory examinations of objects I’ll later section with my B&L sledge style microtome. Here are a few images of comparatively “good” results. One can see that I managed a reasonable thin section but failed as regards uniformity. 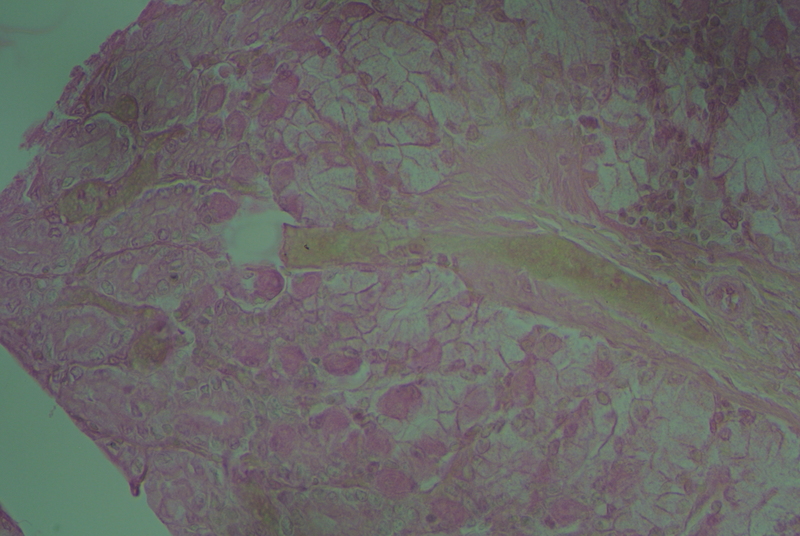 This is not clear by examining the sections with the naked eye but is glaringly obvious on the microscope. The probable reason for this is down to my not holding the razor perfectly vertical. 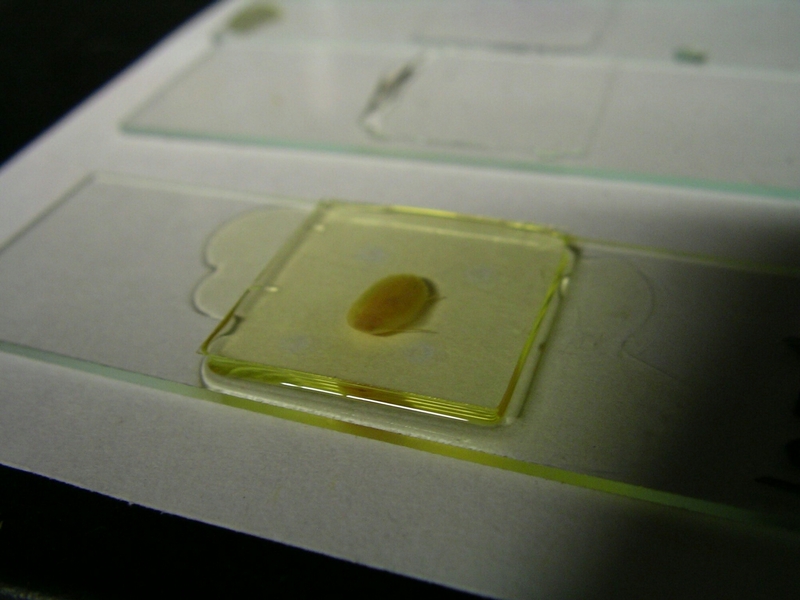 I’m satisfied with the work of two minutes as compared to the days labor of processing a specimen for the microtome. One of the basic tennants of mounting in resinous media is dehydration. Whatever water a specimen contains must be removed prior to mounting. The dehydration could be acomplished by evaporation in air, via a series of displacements in alcohol, or foregone by virtue of beginning with a dry material such as paper or hair. The process of dehydration itself is straight forward enough that it’s hard to screw up when applied to much of what a novice is apt to be mounting, but it can happen. 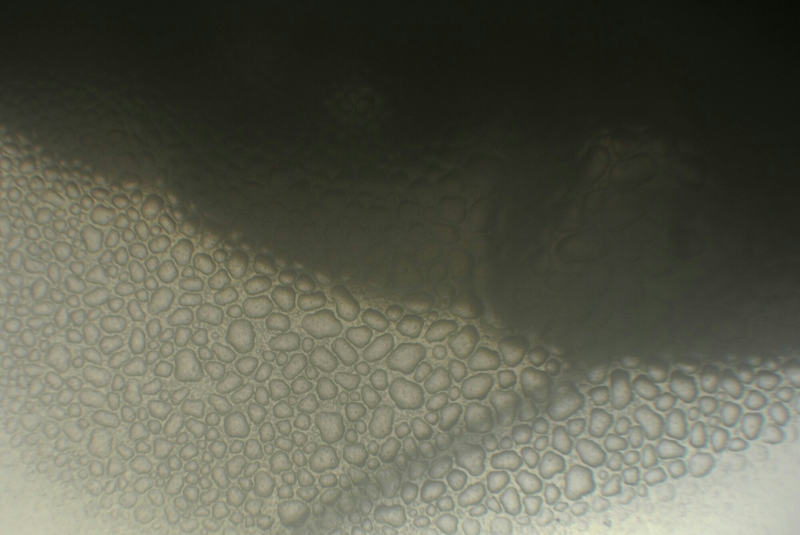 Let’s take a look at the effect of excess water on a resinous mounting media. In this example a whole Blaptica dubia cockroach (2nd instar) was killed just after moulting and mounted without pressure in natural Canada balsam. The specimen was cleared in turpentine but not dehydrated with an alcohol series or with any other method. It was cured for some few weeks on a low temperture warming table. Right away one can tell that something is not right with the slide. The balsam has yellowed as is to be expected with a whole mount of this sort but some smudge appears surrounding the specimen. From the photo it may be hard to tell but that smudge is not on the outer surface of the coverslip, it’s on the inside. Visually the defect appears quite minor. Observed under even the slightest magnification it soon becomes clear that the view will never be, clear, that is. With c-mount camera and 4x objective on BalPlan microscope. What has happend is obvious. The moisture that remained in the specimen was greater than could be diffused into the mountant. Of all resinous mountants natural Canada balsam is the most forgiving. Balsam can often diffuse a bit of excess water, but in this case there was just too much. All that water was forced from the specimen as it was slowly displaced by the mountant. Because the displacing mountant is significantly more dense than water, the water is forced against the underside of the cover. A problem like this is at its most extreme in a whole mount without pressure. 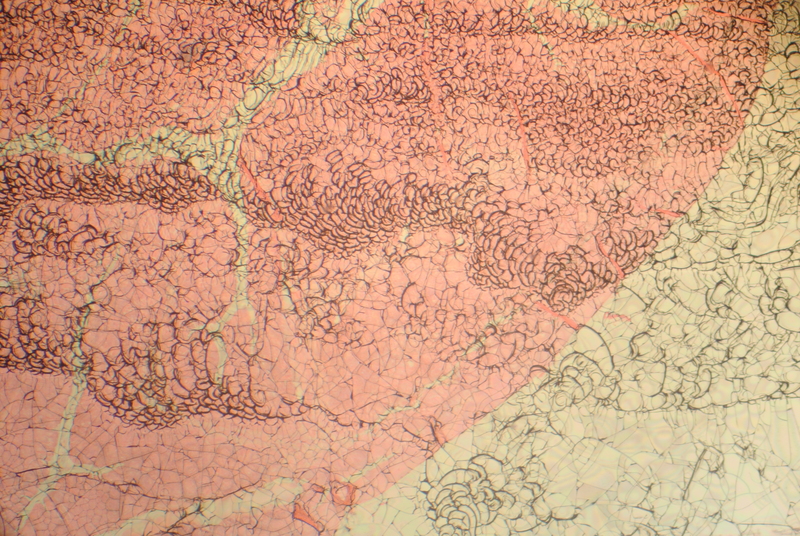 In a thin section the water will tend to be, well, thinner. They might be thin enough that one could imagine focusing below them to optically section the specimen and still get some use from the mount. Sadly, the significant difference in refractive index will prevent focusing through the water dropletts under any circumstances. Let this example serve as a warning to every mounter, proper and complete (or nearly so) dehydration is a must with resinous media. The images in the previous mosquito instalment were made with the use of a Greenough microscope. Comparatively large specimens like mosquito larvae are well suited for use with a Greenough style binocular. This type of microscope is functionally, two monocular microscopes positioned close enough that each objective may observe the same specimen and the unique image of each be seen by the eye above each ocular. The wide field of view and exceptional depth of focus provided by the fully parallel optical paths is generally better than can can be had by the use of any single objective microscope. For people without access to a stereo microscope larve may be observed with the lowest power objective available. In many cases (as in the inexpensive Bausch & Lomb ST used for this post) this will prove to be the 10x objective which will regretably not afford viewing the entire larvae. If the objective is divisible as in the commonly found B&L 10x then remove the front element, otherwise put the lowest power on hand in place. Use a low-power or wide-filed ocular where available. It’s certainly arguable that for live viewing one really needs a low power stereo or disecting microscope, but a steady hand will do. Let’s work from the assumption that all that’s on hand is the B&L ST (Standard Teaching) microscope, plain glass slips and square 22mm coverslips. Be aware that the 10x objective and 10X ocular combination give a very limited field of view. A third instar larvae will span the visible field thrice over, and that’s just the first problem! Mosquito larvae are thick, too thick to just take one up in an eyedropper, deposit it on the slip and cary on. The weight of the coverglass would crush and distort the larvae sevearly and it would tend to slope away from the head of the larvae presenting the real risk of leaving that portion high and dry while surface tension pulls the water away towards tail end. Something is needed to support the coverglass (apart from the larvae itself). Specially made well slips would work for smaller larvae, but they’re expensive and unnessicary; all that’s required is something to support the coverglass. Grease and wax are both good options, but wax is a touch more difficult. Don’t worry about using up that expensive high-density vacuum great used for groud glass joints, plain old white petroleum (Vaseline) will do nicely. Smear a small bit on the heal of one palm, make the spot roughly equal in size to that of the coverglass to be used. Cafefully but firmly draw one edge of the coverglass over the greased spot on the heal of your hand. Use a bit of pressure (as if you were trying to wipe up the grease, which you are) but be mindfull of breaking the coverglass. Repeat the manouver with the opposite edge, carefull to use the same face of the coverglass. The grease will form two ridges, more than enough to support the coverglass. Soft dental wax is best but common parrafin wax will work as well. Warm a few cubic millimeters by rolling it betwix index and thumb. Press the warmed wax onto the far side (make believe there’s a specimen upon the slip and keep well away from it) of a clean slip as hard as you dare without breaking the slip. Use a scalple to cut away two thirds of the wax and again roll and press the wax to the slip. Choose a point roughly 10mm distant to form the second point of a triangle with the first bit of wax. Cut away one half the wax and again roll and press, completeing the triangle. The wax supports are a good deal harder to get thin enough for most uses but can be a good option for anyone overly worried of breaking a few covers as they get a hang of the grease method. A quantity of well stained serial sections was obtained for nearly nothing. The slides so far have suffered greatly, some catastrophe reducing their original mountant to a crackling obscure matrix secured under a cover glass yet utterly unsuited for microscopy. Softened by a period in turpentine the fouled mountant was dissolved enough for the original cover to be stripped from the preparation. Thus exposed, the remaining mountant was washed from the sections with further turpentine. Now an essentially new specimen has only to be mounted. Serial sections are laid out according to various conventions and generally in a way so as to fit beneath covers of any of a half dozen readily available sizes. When the original covers were removed they might have easily been retained and reused after a thorough cleaning. In this instance the cover slips were simply placed into a jar with all manner of other cover slips which are being retained until such time as the author forgets about them or gets around to cleaning them. If the sizes were uncommon or otherwise not available it would have been a different manner. Any cover glass removed that was observed to be in any way damaged during removal should of course not be used for mounting again. When selecting new cover slips one should consider size above all else; size matters. Size of course referring not only to the dimensional area of the cover slip but to the thickness (or gauge number) as well. One should select a cover slip so as to protect as much of the specimen as possible without covering an excessive amount of empty space and having a thickness corresponding to that for which the objectives likely to be used are corrected∗. Nearly every slip required a #2 cover slip measuring 24mm by 50mm. Working with large cover slips can be a great challenge. The large size renders them more easily broken in measuring, cleaning, and general handling. One need only break a couple to get the necessary feel for it. Fragility aside, if they are not often used one will have a considerably harder time at applying a sufficient but not excessive amount of mountant than one will have when using a more familiar size. If too much mountant is applied one will find that air bubbles will more easily get in. In part this may be overcome by using a more viscus mountant and applying it over a thin film of solvent on the surface of the specimen. One must also select a mountant which is suited to the specimen. Stained sections prepared in a laboratory setting often make use of a mountant which is convenient rather than one which is permanent. Convenience may mean the mountant is rapidly cured or particularly well suited for showing the structures looked for. Before selecting a mountant ensure that the solvent used in removing the previous mountant is miscible in that which one would choose. If it is not one will need to get the slips into that solvent by degrees to avoid damage to the specimen and ensure proper penetration. Turpentine being miscible in balsam meant that this tried and true mountant was a logical choice. The process for mounting the reclaimed slip anew is precisely that used for any mount. 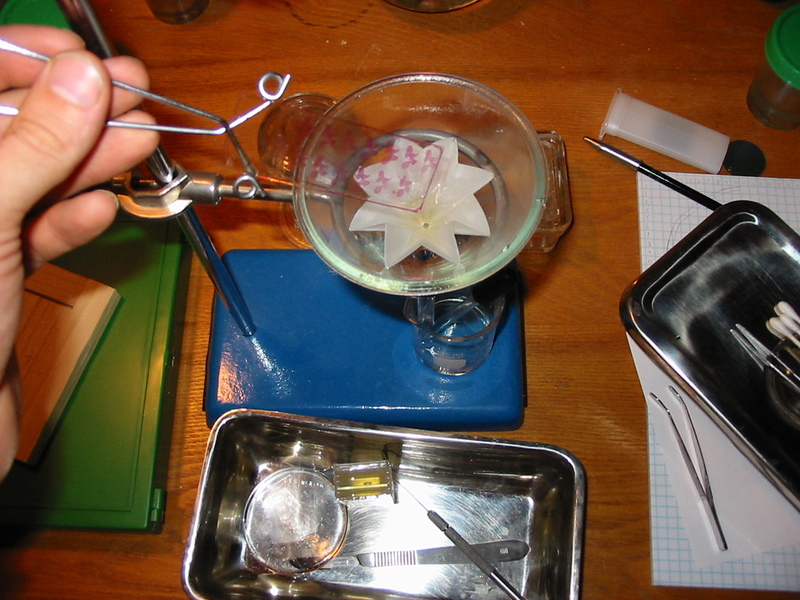 Ensuring that the specimen does not dry out, but is not flooded with excess clearer, place it on a low temperature warming table, or draw it over (but not through) a burner to warm it. Place then upon the slip a quantity of mountant and permit it to rest somewhat, allowing the mountant time to spread out but always ensuring that the specimen is not permitted to dry out. After a minute or so use a cover glass forceps to place a well cleaned cover glass upon the surface of the mountant. If just the right amount of mountant was used one may count on the cover glass alone for weight and may set the slide aside or into a cool oven to cure. In general practice one may be sure that too much† mountant was applied. This eventuality requires that steps be taken to ensure that the cover glass lays securely in place and is uniformly flat. If steps are not taken one may find that one side of the cover is significantly higher than the other. Place the slide into a cool oven or upon a warming table and permit it to stand for an hour. After this time one may be reasonably sure that the mountant is marginally more dense but still quite fluid. Place upon the center of the cover a small weight corresponding to the shape of the cover and return it to the warming table or oven. After a quarter hour check upon the slide to ensure that the cover slip has not displaced. If it has far too much mountant was used, or the oven (or warming table) is not level, and one will need to slowly but smoothly reposition the cover. When the slide has cured it is a simple matter to clean any exuded mountant. In part I of this series we saw a representative example of one of the damaged slides, so badly degraded as to be entirely useless for microscopy. Permit then a look at it now, and yes it is indeed the same slide; note the engraved number. This slide might look familiar. A quick look with the microscope shows that in spite of the severity of the damage shown in the old mountant, the specimen came out unscathed. Any small particles of the old mountant which were not removed will be immediately apparent but one might always repeat the process if one was not scrupulous in their cleaning. At low power (10x Plan-Achro objective) with the BalPlan. High-dry (43x Plan-Achro objective) with the BalPlan. ∗Correction collars and draw tubes not withstanding most manufactures correct for a particular cover glass thickness across their entire line, in perpetuity. Bausch & Lomb has corrected their objectives for .18mm (#2 gauge) from the first and (considering that a variation of as little as .03mm in thickness will require an adjustment of the draw tube of 30mm) one would do well to gauge their cover slips before use. †It is my considered opinion that in no case is it better to use too little mountant, err on the side of caution but do not drive to excess. After determining that the slide is a good candidate for rehabilitation one must remove the the degraded mountant and the cover glass. Doing so is not a difficult or tedious task but it will require a degree of patience. The first step is to determine a solvent that will dissolve the mountant without unduly harming the specimen. Working with the knowledge that most mountants which discolor to yellow in areas where it has been exposed to the air contain a natural resin, one finds a starting point to identify a suitable solvent. In many cases a comparatively gentle solvent such as the pure gum spirit of turpentine will prove satisfactory. Whatever the mountant and solvent, placing a drop of solvent on an area where the mountant extends beyond the cover slip is the simplest means of determining its suitability. After a few minutes the heretofore brittle mountant will take on a sticky, thick syrup consistency if the solvent is able to dissolve the mountant. For some synthetic mountants one may find alcohol works well, however, the frequent use of alcohol as a destain in the initial slide preparation may lead to the loss of vibrancy in the specimen. Other options of more rapid action (but more pronounced hazard) may be benzine, xylene, dichloroethane, or chloroform. On the opposite end of the spectrum in cases where more gentle action or greater safety is desired one may employ various essential oils such as the classic, clove oil. Once a solvent is identified one need only place the damaged slide into a suitable vessel filled with an ample quantity of solvent. If many slides are to be rehabilitated one may choose to employ a large staining vessel and rack. If only a few must be processed a small Coplin staining jar or in a pinch a slide mailer may be used. One should keep in mind that as the solvent acts upon the mountant its strength will be depleted and the time required will be greater. From left, vertical Coplin, plastic slide mailer, horizontal Coplin. Above may be seen a few suitable vessels. The plastic slide mailer is useful only for the less volatile solvents and is recommended for no more than one or two slides. The vertical Coplin jar has a volume more than double that of the slide mailer and is well suited for from two to four slides. 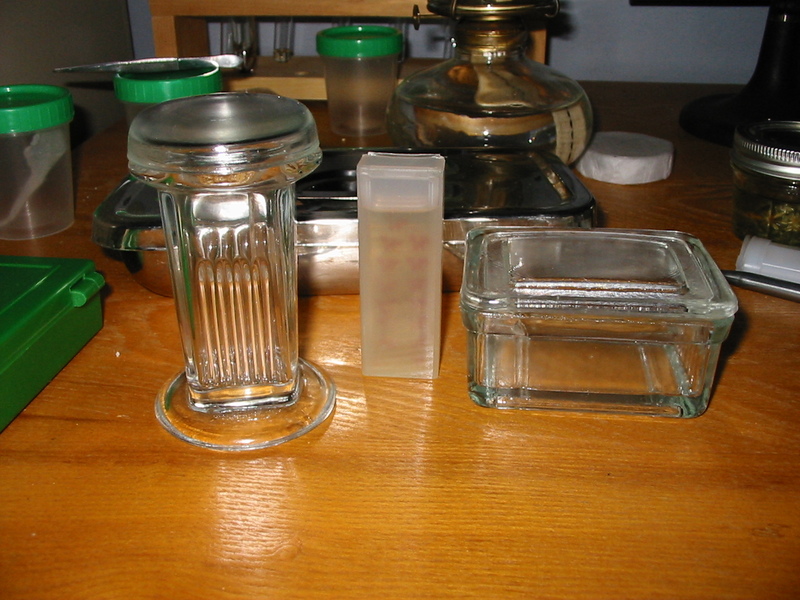 The horizontal Coplin jar has slots for ten slides but the most that can be recommended is eight. One may of course load each vessel to capacity if one is willing to permit the dilution of the solvent to such an extent that the process will take a week or more. After a period of from 24 to 72 hours one may expect the mountant to be largely dissolved. At this time one may remove the cover glasses. Occasionally the condition of the mountant upon removal from the solvent will be such that the cover will have come off without the need for additional effort. If a cover glass should remain in place one will need to raise it by carefully inserting a needle or blade under one edge. Once accomplished, surface tension should be overcome and the cover easily removed. If the cover is seen to flex significantly one must forgo removal for the time being. A cover glass support (or more economically a portion of a broken cover glass) should be inserted just enough to maintain a slight lift on one side of the cover glass and the whole then returned to to the solvent. Provided the slides were well prepared initially and the solvent selected was not undually harsh there should be no risk of sections coming away from the slide or adhering to the cover∗. With the cover removed one should take care not to permit the surface of the sections to dry. There is liable to remain a significant quantity of partially dissolved mountant on the slip. To remove this, one will require additional solvent. Resist the urge to employ the same solvent that was used previously; it has been rendered too weak and will now contain all manner or particulate contaminants. Depending on the time one has available one may proceed with one of two methods described below. 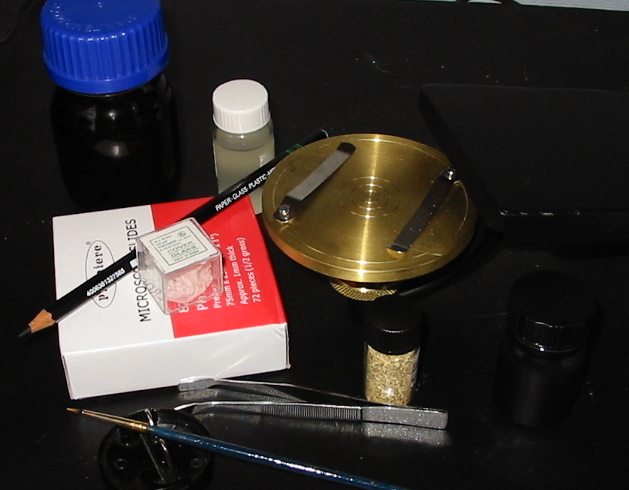 The fast method requires a slide clamp, a circle of filter paper, a funnel, a ring stand, a beaker, and a pipette. Pour a quantity of solvent into the beaker and placing the filter paper in the funnel position it in the ring stand over the beaker. Grasp the slide with the clamp and holding it in one hand over the mouth of the funnel use the pipette to send a gentle stream of solvent over the slip so that any particulate matter that washes off is caught on the filter paper. Refill the pipette from the beaker and repeat until the slip appears free of undissolved mountant. This method is particularly well suited for use with more profoundly damaged slides or particularly delicate specimens as it affords a degree of fine control and permits the technician to immediately notice any detriment to the specimen. The fast method. At the bottom of the frame may be seen a watch glass holding a quantity of removed cover glasses. The slow method is simply a continuation of the previous process. One should use a new vessel and again additional solvent. If one is forced to use the same vessel one must be sure it has been scrupulously cleaned. Take care that all slips are arranged so that any particulate mater dislodged from one slip will not fall upon another. In practice this means that wherever possible slips should be positioned back to back. After a period of three to twelve hours all the solvent should be removed. Rinse the slip then with a pipette of fresh solvent to ensure no particulate contaminants are present on the surface. This method should not be used with powerful or excessively volatile solvents. 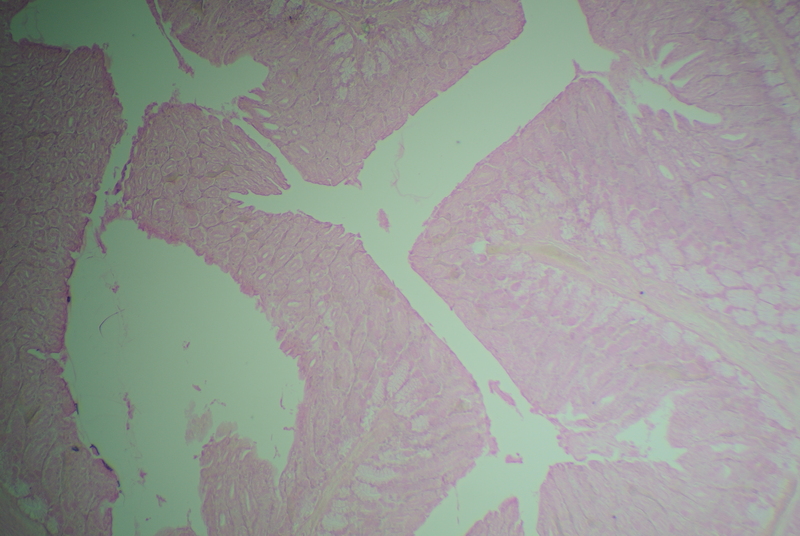 It is also unsuitable for deeply or contrast stained† specimens. ∗For some subjects it was accepted practice to adhere sections to the cover glass rather than the slide. This is exceedingly uncommon in preparations younger than 80 years or so. Thicker sections are sometimes attached to the cover but such preparations were likely made by students in an effort to salvage an otherwise unusable section, so be cautious with slides that have the signature or a novice. There are methods for handling such slides but that would make a long post longer. †Of course one could go right ahead and completely destain the specimen. Followed to the extreme this method would provide one with what is in essence a newly prepared slip ready for staining. Again though, I am trying (and failing) to keep this short. Very often the amateur may come upon the opportunity to obtain significant quantities of prepared slides of a type that makes use of methods or materials that are not generally within the scope of ones own activities. Such slides may provide valuable objects for study. Regrettably, one may find that many slides prepared in professional circumstances only find their way onto the market at excessive cost or when damage sustained in one way or another has rendered them unsuitable for study. 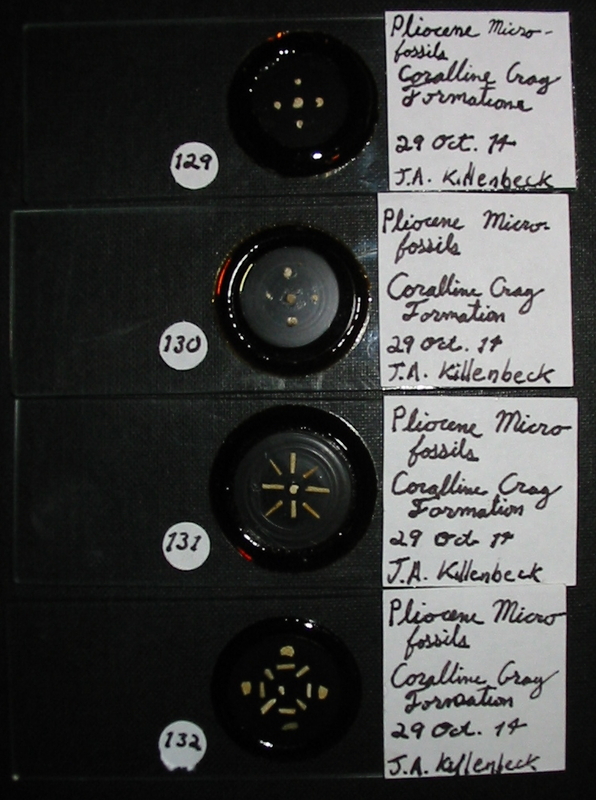 Recently a quantity of slides were obtained by the author that consisted of serial sections from Leptonycteris sp. The exceptionally thin and expertly stained sections were mounted in series under rectangular 18x40mm or 24x50mm coverslips. All of the slides showed degradation of the mountant to a greater or lesser degree characteristic of repeated stress from heating and cooling. Due to the visible damage 75 individual slides were had for the incredible price of ten United States dollars. One would be hard pressed to obtain a similar number of blank slips or coverslips for the same price. Visibly degraded mountant, black background. Initial observation showed that the slip was in fine condition without chips or cracks which would greatly complicate the task of rehabilitation. Despite the significant degradation of the mountant the cover slip remained firmly in place, a good sign that the sections beneath would be intact. Running a fingernail over the cover is often all that is required to determine if the coverglass itself is similarly undamaged. Visual inspection showed the mountant to be significantly degraded on most of the slides. Pronounced yellowing at the edges gave way to white patterns where mechanical damage had caused the mountant to crack to an extent that it was no longer in optical contact with the coverslip. In some instances the mountant had become brittle to the point that the coverslip had come off entirely. The areas occupied by the specimen were invariably damaged even in places where the surrounding mountant remained sound, as may be seen at the extreme right of the image at left. Under the microscope one could observe the extensive cracking of the mountant shown below. Focusing on the specimen with a 16mm objective was nearly impossible as the depth of focus afforded by the objective ensured that the cracked mountant would intrude into the image plane. At higher levels of magnification one could optically section the image enough that the cracks were not immediately evident, but resolution was impaired to the point of near total occlusion of any detail. Assemble everything required whether only the most basic slide is being made or a more complex preparation. It’s always a good idea to begin with the required materials and a clean work area. Use a sterile lancet to procure two drops of blood from ones own, or a volunteers, (alcohol swabbed) finger tip. Discard the first drop and place the second on a very clean slip. With a second slip pull a smear on the first slip. Dry and fix the smear by ones preferred method. It’s simplest to grip the slide firmly and wave it about until dry. Stain the smear with ones preferred stain. For Wright’s stain: a. Drop on stain solution to cover the smear and leave for minimum of two minutes. b. Drop on an equal volume of distilled water and leave in place until a greenish scum forms on the surface (1-4 additional minutes). c. Rinse with a few more drops of distilled water. d. Dry in air, do not blot. If desired mount under a coverslip with neutral balsam or green euparal. Clean, label, and store slide. If you have trouble getting a suitable amount of blood try using a larger gauge lancet. A common 33 gauge lancet is very narrow and might not be successful for some people, but a 10 gauge (most common size for Unistik spring loaded lancets) might be too painful for others. A 28 gauge is apt to be more universally acceptable. When pulling the smear one may find that by holding the second slip at a shallower or steeper angle the thickness of the smear can be controlled in a limited way. The speed at which the smear is made also has some effect on thickness. Try to maintain a consistent speed every time but don’t be afraid to experiment to find the angle that is most successful at ones own speed. Do not try to fix with any substance (except for some methods of vapor fixation) before the smear has been dried, it will come off, the smear will be ruined. If one is working with a large number of smear it may be better to dry and fix in an oven. Stains are available in many forms. Even something as common Wright’s stain may be found in a one step buffered solution, as a more traditional un-buffered preparation, or a powder. The directions above will give acceptable results with a buffered or un-buffered solution. When provided, follow the manufacturers directions for the stain used. Additionally, remember that all stains have a shelf life. Most solutions of Wright’s will only work their best after seasoning for a few weeks, and lose their potency after eighteen months. A stain like Wright’s will bleach out somewhat in an acid mountant. It is therefore advisable to use an ostensibly neutral mountant like euparal or green euparal (which retains stain brilliance better than regular euparal). Alternatively one might keep a few pieces of marble in their balsam bottle to cut down on its acidity. Depending on the size of the smear one may find a certain need for longer than average coverslips. 22x50mm and 22x35mm covers are widely available but one may also use a smaller cover that only covers a portion of the smear. In any case one should take the time to clean the area not covered after the mountant had cured. There are more than a few methods for making smears in general, and a couple for making blood smears specifically. By far the most generally useful method, and the easiest, is what I refer to as pulling a smear. In pulling a smear one may produce a large, thin, and even smear that is rather more uniform and consistent than that which might be produced by other methods. It’s very easy for beginners to read the method and then perform the action incorrectly, so please observe the pictures and practice with a bit of fountain pen ink or food coloring before getting set to make the smear with blood. Practice the method with ink before working with blood. In A we see a drop of blood (in this case ink for practice) placed near one end of a slip. In B a second slip has been placed on the first at an acute angle. The second slip is then slowly pushed back until it comes into contact with the blood. Once contact is made the blood will spread out along the line the edge of the second slip. Maintain firm and even contact with the slips. The blood should remain primarily on the side next to the drop; within the acute angle. As in C, the second slip is then drawn in a smooth even motion along the first so that the blood is pulled along leaving behind an suitable smear. In D care was made to produce some of the more common troubles. Midway along the smear a lighter line is observed where the slip was stopped as it was drawn along. Further along we observe two blank areas where the slip was allowed to lose contact at the lower edge. In the above image the camera is positioned at six o’clock, and I am seated at three o’clock. Most depictions of the process provide the impression that smears are best drawn along a horizontal from left to right (or right to left). It is easiest to ensure a smooth motion (for those who are right handed) to pull the smear from from eleven o’clock towards four o’clock. When pulling along a perfect horizontal it is more difficult to keep constant contact and pressure along the entire length of the smear. It is in some respects a matter of preference but above all do not make the common mistake of drawing over the drop or of positioning the second slip so that the drop of blood spreads out in the obtuse angle side of the arrangement. Apart from everything else, it’s very important to form the smear on only the cleanest of slips. Oil, dust or other imperfections can prevent the smear from adhering properly once made, or from being made effectively in the first place. Always take a moment to exhale on even a clean slip prior to beginning. If the vapor of ones breath forms an even cloud upon the slip, and it dissipates rapidly it is likely to provide good results. With the smear made it must be fixed. One may fix via heat or chemical methods but for blood smears it is often better to simply wave the slide about rapidly (with a firm grip of course) until the smear is dry. Microbiologists are apt to follow Ehrlich and place the slide on a hotplate or in a cool oven for hours on end, but such efforts are not generally practical when only a few slides are being produced. If one desires to employ chemical fixation, the film must first be adhered to the slip and the primary method for that is… waving the slide about rapidly! Because the cells in the blood smear will retain the shape when dried, it is best to forgo complex fixation and stick with that tried and true method, regardless of how indecorous it seems. After fixation the smear may be examined immediately, with or without further treatment (even with oil immersion). Or it may be stained to improve its appearance. One my use a popular traditional stain such as Wright’s or whatever is on hand. In the next post we’ll cover the use of Wright’s, but one may wish to try the stains they are familiar with. Methylene blue is a widely available stain that will make leukocytes much more noticeable. The following is only slightly different depending on the specimen/specimens to be mounted. In the case one may wish to mount objects beyond those described, the following may be helpful. Consider that what may be mounted in a dry cell is extensive but, in general all may be divided into three categories. Those which are adhered to the cover glass: diatoms and other very small delicate objects. Those which are adhered to the slip: small objects that may be damaged by moving about within the cell. Those which are loose within the cell: soil, sand, and portions of feather are the usual. In this case, objects of the second variety are being utilized; specifically microfossils, but any other items failing into the same category may be used. 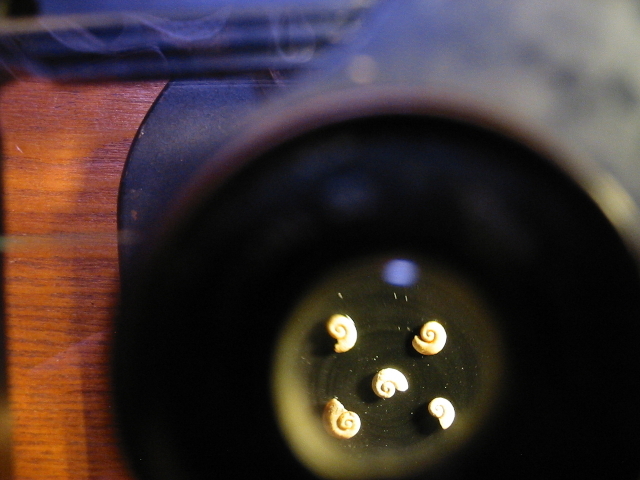 Due to wide availability and comparatively large size, microfossils, micrometeorites, and other similar objects are an excellent first choice for one not yet acquainted with the technique. Whatever is selected, first see that it is prepared for mounting by ensuring it is totally dry and devoid of contaminating debris. A petri dish, watch or Syracuse glass is useful for laying out objects. Select a quantity of objects which are of a size to fit beneath the cell vertically and lay them out (on a handy surface) in a pleasing or utilitarian way horizontally. 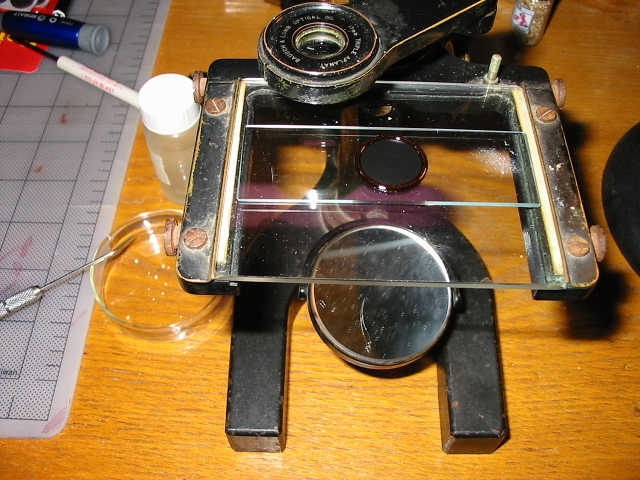 Place the slip (with cell) near to the surface on which the specimens have been lain out; some will find a dissecting microscope or loupe useful if inherent vision merits. An old style dissecting microscope may be found suitable, as one may easily move the lens aside when it is not required. Depending on the adhesive employed… Gum tragacanth is the finest choice so far as the author is concerned. It is inexpensive, sufficiently able to adhere most objects, of a quality to persist over time (as evidenced by historical use), and is hydrophilic enough that it will absorb moisture to an extent that condensation will be prevented from forming within the cell. …one may be required to act differently. Using a fine camels hair brush one must apply adhesive either to the surface on which the specimen will be mounted or onto the underside of the specimen itself. For some adhesives a needle in a holder or hemostat will serve. Some adhesives are more forgiving than others as regards positioning, but at all costs one must avoid allowing any adhesive adhere to an observable surface. One should be aware that some adhesives dry opaque or with a gloss finish that will show conspicuously in the finished mount. For the smallest objects one may paint the entire surface with gum and allow it dry. When an object is placed one need only direct a breath of moist air onto the whole to render the gum adhesive. Geometric arrangements are pleasing but utilitarian layouts have some advocates as well. One may wish to layout specimens so that they are within the field of view of a particular objective (I should post about that sometime) and such an arrangement may be made to permit isolated observation of an individual specimen. When the specimens have been placed one need only permit sufficient time for the moisture (that may or may not be) inherent in the adhesive to dissipate. In some areas (geographically speaking) and circumstances this may only entail permitting the slip to stand out in a dust free area for some minutes or hours. It is noteworthy that (in many locations) humidity will be lower in the winter and contribute to lower than general humidity (at ambient temperature) within the cell, which is desirable and will tend to prevent condensation on the underside of the cover glass. Prior to sealing a cell mount one must be confident that the humidity of the specimen is lower than the humidity of any environment in which it is apt to find itself, and that the positioning is as perfect as it might be. Many adhesives will require several hours before the required conditions are met. However, once such is the case the cell should be sealed. Examine the slip under low power to ensure no dust has landed on the objects and all is as it should be. Sealing is distinct from covering in the sense only that a cell which is covered might still be exposed to the environment at large (yes such a thing exists). To ensure that the cell is sealed one must use a cover of a size for the cell. The underside of the cover should rest upon the top of the cell, and the edge of the cover should not extend beyond the outer surface of the cell. Place the cover across the cell first to verify the size. In the below image the figure on the left is correct. The above on the right shows a cover glass which is too small, below is one which is too large. Some texts recommend heating the slip so that the shellac cell is rendered soft and then applying gentle pressure to the cover to form a seal. This method has the advantage of eliminating imperfect seals which result from imperfections in the top surface of the cell. Regrettably, this method may also tend to deform the cell if the slip is heated too much or for too long. One may achieve as effective a seal by painting a ring of fresh shellac on the cell before placing the cover glass. Once the cover glass is in place set a ring of shellac around the margins of the cover to ensure that the seal is hermetic. A few layers of shellac are recommended so that the cover is well secured mechanically. At this stage the slide is complete. Once it has dried many persons elect to give the cell a coat of decorative paint. I find the appearance of plain (dark) shellac acceptable. Note the errant adhesive on #130, that is why I do not recommend rubber cement. For many other mounts preparing the slip means only laying out a cleaned slip from ones supply. Dry cell mounts are rather more involved so are not generally made on a moments notice. For that reason one may wish to ready a quantity ahead of time, rather than a single slip. To begin with one will need to equip the slip first with an opaque surface on which to mount the specimen, and then by building a cell around that surface to support the cover glass. Place a cleaned slip onto the centering card and use the wax pencil to mark the center of the slip and the borders of the cover glass. The side that is marked will be the bottom of the slip so immediately turn it over to prevent accidental use of that surface. With the slip so marked one needn’t worry if the ringing table to be used lacks a marking for the size of cover glass that will be used. 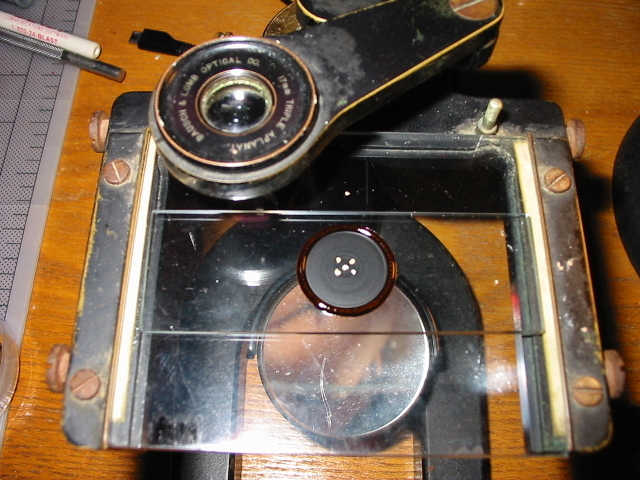 Place the slip onto the ringing table (make certain the marked bottom of the slip is down) and center it. Set the table spinning and mark with black paint a circle of sufficient size for the intended specimen. Some practitioners paint only a small area and some paint the entire are that will be covered, the choice is immaterial as the entire field of view is sure to be opaque expect if viewed with the lowest powers (30mm or more). In either case lay down a layer thick enough to obscure all light. In the beginning one may wish to lay down a few trials on a test slip that may then be removed from the ringing table and held to a light to determine the effectiveness of the paint. If bubbles or imperfections are evidenced in the painted disc one may generally remove them by lightly moving the brush from the edge of the disc to the center and back as it spins. Allow the slip a few moments to dry. One may remove the slip to a covered box and paint discs on a quantity of slips in preparation for the next step, or leave it upon the ringing table with an improvised cover if only one is desired. Once the opaque disk is dry paint a ring of shellac around it so that the outer edge of the shellac ring is just larger than the cover glass to be used. Load the brush lightly with shellac so that it does not tend to drip. If the shellac doesn’t flow easily from the brush wet the bristles first in alcohol. Lay a second layer of shellac over the first almost immediately and then permit it a minute or two to dry before laying down the third and successive layers. A cell of considerable hight, 1/8th of an inch (3.2mm)or more, may be prepared in as little as 15 minutes The width of the completed ring of shellac forming the cell should not be more than 3/32nds of an inch (2.4mm) with 1/16th (1.6mm) being ideal. Once the cell is of a suitable height place it into a covered box to dry for several hours, overnight is ideal. If the ring is not dry when a cover is placed on it there will be a tendency for it to deform and run in towards the object. The shellac used (and the quality of the brush) has the more to do with success or failure than skill. Always use a finely pointed, scrupulously clean brush, and make note of the shellacs viscosity. If the shellac is too thick one will end up draping threads of shellac across the interior of the cell. Alternatively, if the shellac is too thin building up a cell of sufficient height will take a very long time. Should threads of shellac evidence after a few minutes of prior success simply cleaning the brush can help. Above all one should work deliberately and resist the urge to rush. Coming up next, part III; actual mounting!